Homemade beauty products are not only a great way to save money and keep the chemicals off you but they are just all kinds of fun to make. This one is for the manly men in your life- husband, boyfriend, father, brother, grandpa- a little bit of pampering for your lumberjack type is a perfect treat. 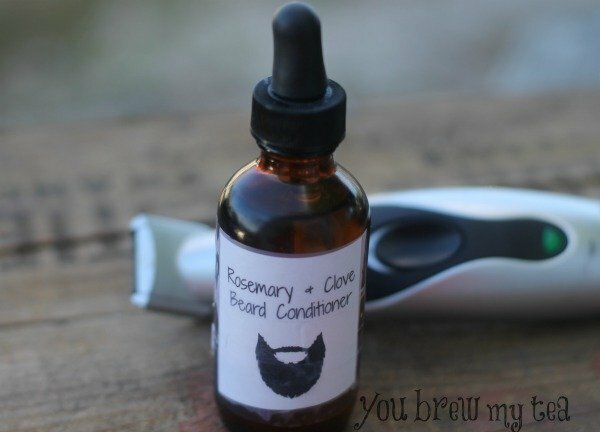 A few simple ingredients and just a few minutes make this Rosemary & Clove Beard Conditioner. Along with this free printable I created for you, this is all you need to create a unique and special gift. The combination of essential oils creates a yummy and manly scent to soften scratchy beards. It makes a great gift for Valentine’s Day, Father’s Day, or any other occasion. Grab this printable here, I printed mine out in 4×6 size . Combine all ingredients inside a small glass bottle, I love these Amber Glass Dropper Bottles for storing small batches like this. They make it easy to use and store. Start with a drop or two of Clove at first-it is a hot oil and has a strong scent. Cut out the label to fit your container, affix to bottle with clear packing tape. 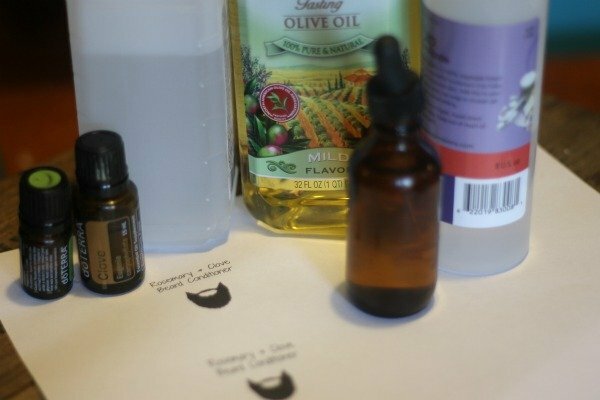 To use: Massage 6-8 drops into beard, can be used on skin as well. Experiment with your own combination of essential oils to create a unique scent that works for you. I think lavender, sandalwood, cedarwood, patchouli, black pepper,or bergamot would make wonderful scents for men. Not only are we huge fans of making your own beauty products at home, we are fans of using essential oils throughout our lives. 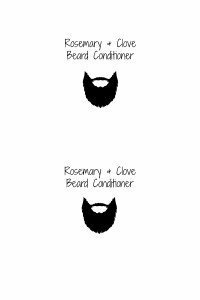 A small investment can result in great results from natural based cleansers to the wonderful smells of this rosemary and clove beard conditioner for men. For those who prefer a lighter scent, you can choose other favorite essential oils to brighten and match their personality. Check out our favorite DIY Beauty products we have shared here before! For more of Jody’s work, makes sure to check out her new blog A Sip of Southern Sunshine and follow her there as well! So funny story… I have never heard of beard oil until last week. 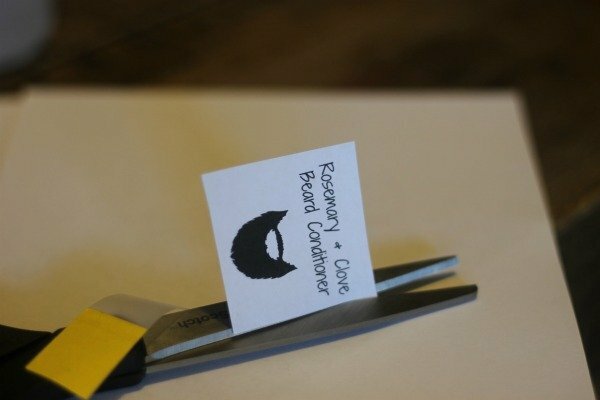 My husband shaved his beard off and was like, “apparently I needed beard oil to care for my beard and that’s why I had so many split ends.” Then saw that you linked up to a party and was like, “NO WAY!” I am definitely going to make this for him for Valentine’s day (which happens to be his birthday!) I’m going to share and pin this! I would love if you linked this up to Totally Terrific Tuesday! It will be LIVE tomorrow at 9pm CST. Thanks so much for sharing and hope to see you there! Awww, what an awesome gift for him! Too bad my hubby just shaved his off… maybe for Father’s Day (or his birthday)? Thanks for sharing at this week’s Monday Funday party! After serving in the military for years, my husband has finally been able to grow a beard. For father’s day,last year, I got him some conditioner for his beard, and it has made an incredible difference. I know he would love if I made some of this for him as well. I’ve pinned it. I hope he enjoys it as well!! I’m so glad I came across your creations. These natural products are really the way to go. I have to try the pumpkin spice scrub soon. Thank you for sharing on #HomeMattersParty! 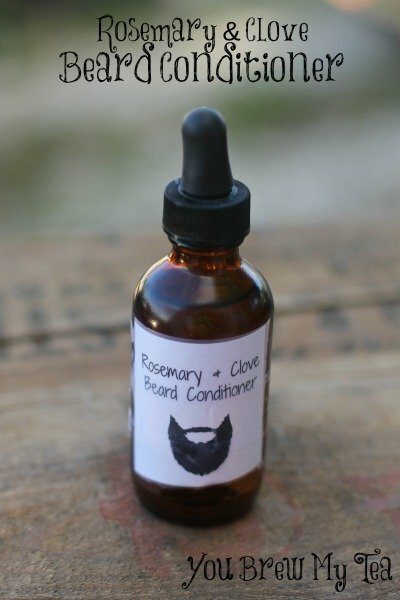 My husband loves beard oil, I’ll have to try this one for him! Thanks for sharing.